The fish on the end of your line, the little forage fish that feed the big fish, the corals that build reef habitats, and the catch of the day in your favorite restaurant are interconnected parts of a vibrant ocean ecosystem. Ensuring the long-term health of important marine species will depend upon our ability to understand and account for the interactions among those species, their environment, and the people who rely upon them for food, commerce, and sport. 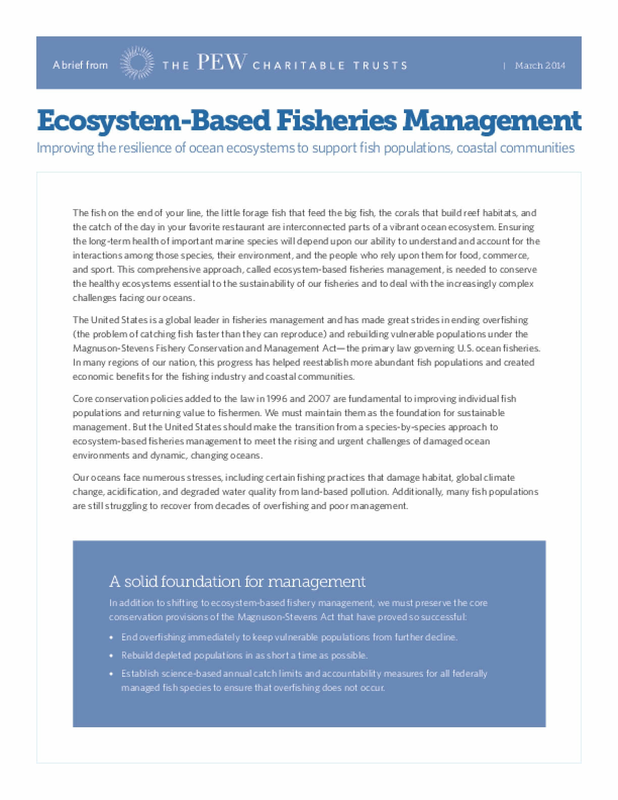 This comprehensive approach, called ecosystem-based fisheries management, is needed to conserve the healthy ecosystems essential to the sustainability of our fisheries and to deal with the increasingly complex challenges facing our oceans.